TutuApp and its sibling TutuApp VIP are extremely popular mobile app installer stores that work on iOS and Android devices. At this time, TutuApp is the most popular alternative to the Apple App Store available for iPhone, iPad, and iPod Touch devices. It’s also a great alternative to the Google Play Store and Amazon App Store for premium free and hacked apps. Hey Firestick fans, did you catch that last part? 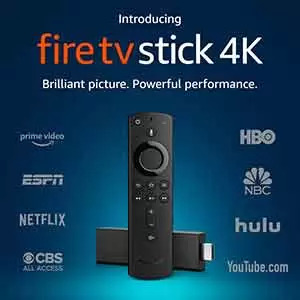 Yes; you can install the TutuApp store on your Firestick or Fire TV by sideloading it with the Downloader app, which is freely available in the Amazon App Store. If you have Bluestacks or another Android emulator installed on your Mac or Windows PC, you can even use the TutuApp store to download and install all the great free apps on your laptop or desktop computer. First, Open Safari on your iPhone, iPod or iPad. Go to https://tutuapp.vip and download TutuApp for free. Once download and install complete, go to Settings > General Settings > Profiles > Device Management. Then, find the certificate and tap on Trust this App. Next, Install and run TutuApp on your iPhone, iPad or iPod Touch. First, go into Settings > Security > Device Administration. Then, toggle Unknown Sources to ON. 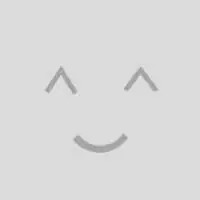 Go to https://tutuapp.vip and click Install now. Note that for either iPhone or Android installation of this alternative App Store, you can visit tutuapp.vip on your Macintosh or Windows PC. There will be QR codes for both iPhone and Android devices that you can scan to install the TutuApp store. When using free streaming apps such as those found in the TutuApp store, a securely encrypted VPN is highly recommended to hide your identity, location, and online activities. Many experienced free video streamers, including everyone here at My True Media, prefer IPVanish VPN. The Tutu App third-party popular app store is presented in English, with a very simple and easy user interface that is a breeze to navigate. Find the app you are looking for or explore new apps with the assistance of TutuApp. No need to jailbreak your iOS device in order to run TutuApp. Download as many apps as you like on the TutuApp store. When installed on an iPhone, iPad, iPod, or any Android device, TutuApp allows you to download and install premium apps and top games for free. There is a huge catalog of titles available to be found on the TutuApp store. What’s possibly the best part? There’s no need to buy a subscription or jailbreak your smartphone when using the Tutu app. The TutuApp third-party app store offers fast, stable, cracked, and tweaked games and utility apps without even requiring you to login. Rigorous security checks have been conducted on TutuApp altered apps before they are deemed safe to download and included in the store. Offering a user-friendly interface and lightning-fast speeds, you can even download multiple apps simultaneously. TutuApp also keeps you updated with frequent newly launched app and game releases. Besides some of the best cracked and tweaked apps out there, get free games like TutuApp Minecraft and TutuApp Pokemon Go. There are two versions available of the TutuApp store. One is free and the other—TutuApp VIP—requires an annual payment of $12.99. VIP offers more new and exclusive games and apps along with active data features. Our favorite feature is that there are no annoying ads on the TutuApp VIP version while the free version is ad-supported. TutuApp VIP users are also less likely to have their app access revoked by Apple corporate. It might be worth the small fee for that feature alone. To stay safe from the prying eyes of corporate entities, government agencies, and other hackers, we always recommend taking advantage of an encrypted VPN (Virtual Private Network) while online. This is especially important when streaming on your mobile device with the help of free Tutu App software.